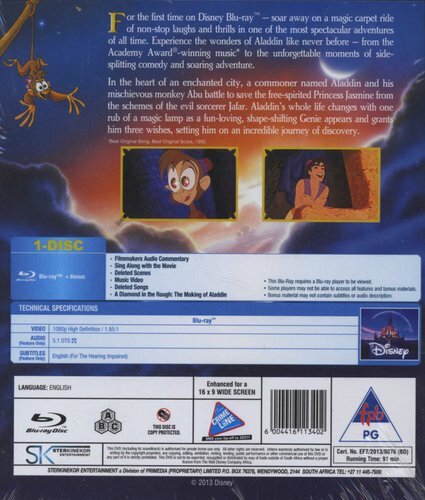 Disney's 1992 animated feature is a triumph of wit and skill. The high-tech artwork and graphics look great, the characters are strong, the familiar story is nicely augmented with an interesting villain (Jafar, voiced by Jonathan Freeman) and there's an incredible hook atop the whole thing: Robin Williams's frantically hilarious vocal performance as Aladdin's genie. 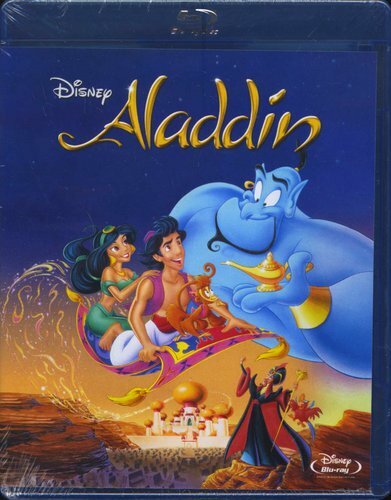 Even if one isn't particularly moved by the love story between the title character (Scott Weinger) and his girlfriend Jasmine (Linda Larkin), you can easily get lost in Williams's improvisational energy and the equally entertaining performances of Freeman and Gilbert Gottfried (as Jafar's parrot).